Want to be successful or more professional baseball player ? You must need to train extremely hard to become a professional in the game. In the past, one needed to train to the point of bleeding to be successful at the sport. And even, so success wasn’t guaranteed. However, with the advancement of technology and the introduction of many tools, it is now possible for you to train with a machine that pitches balls to you. And Zooka ZS740 Pitching Machine is one of the greatest tools to affect the game of baseball. We’ll delve into more details below regarding why it’s the best pitching machine for a young player to train. Zooka ZS740 is a revolutionary pitching machine that is accepted by many as the best pitching machine to train your batting or fielding ability. Many enthusiastic parents and baseball coaches rate the tool very high and say it’s worth every penny. One unique part of Zooka ZS740 is that the tool comes with a long tripod that helps in pitching the ball at a high distance. You can customize your practice with this tool by setting your preferred baseball/tennis balls speed. Another unique part of Zooka ZS740 is— it’s very simple to set up and use. In addition, the external battery helps in doubling the pitch count for your practice. Feed the ball to the barrel for it to work and once the ball gets detected the compressed air gets pumps up. Resulting in the internal cup to shoot which propels the ball. You can see some features of Zooka ZS740 below that makes it the best pitching machine to train. The tool is battery powered which you can recharge when you are not practicing. It’s also light, weighing only 30 lbs— giving it great portability. It can pitch 700+baseballs at 40 miles per hour, 500+ baseballs at 50 mph, and 400+ at 70 mph with one charge. Unlike other pitching machines, Zooka ZS740 can pitch balls other than baseballs like tennis balls for young aspiring players to make them lose the fear of getting hit. Makes it an excellent tool for young lings who aspires to go pro. Not only it’s a great pitching machine the tool comes with some excellent safety feature such as a start-up button that is password protected so that you can practice with it and a power off button. Its battery can recharge full overnight and can charge up to 80% in only 5 hours, which is enough for practice. Also, it lasts from 5 to 10 years or even more. With Zooka ZS740 pitching machine digital platform you can customize your preferred speed. 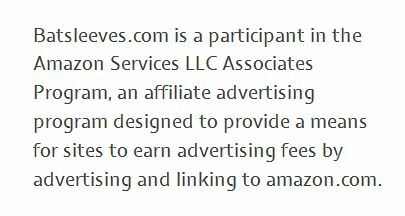 Furthermore, you can pre-program your practice with various speeds and locations to save time. The tool can pitch a baseball as far as 60 feet with the typical speed of 70 miles per hour— which is a good average of human pitcher. You can develop your baseball batting skill. While Speed Zooka is arguably the best pitching machine for raising new baseball talents. Below are some alternatives to the Zooka ZS740. Junior Hack Attack Softball Pitching Machine is one of the best alternatives to Speed Zooka. This machine can pitch a ball at a speed of 40mph to 70+mph with great inside and outside fastballs. You can also practice batting or fielding against breaking pitches with this tool. One unique feature of the pitching machine is, the balls can change direction immediately to fungo works which allow it to pivot in any situation. In result, it helps simulate a real game with long fly balls, spins, and deep line drives. The Junior Hack can be a great training tool for young players who are playing in youth leagues or drills at all level including high school and college to improve their skills. Thanks to the innovative design that looks like a laser beam this pitching machine from heater sports stands out. The Heater Sports Baseball Pitching Machine comes with a variety of pitching options and tools which makes it ideal for practicing baseball and softball. You can use practice balls or even leather balls for practice with a speed of 10mph to 50mph — best for kids who love baseball. But, the unique feature of this pitching machine is the auto feeder feature. In simple term, you just need to place balls in the feeder, and the equipment will start pitching. You can put 12 balls at max in the feeder. This 3-wheel pitching machine allows you to see the ball clearly through the feeding motion and release. The Hack Attack Baseball Pitching Machine gives you the same sensation of facing a live pitcher. Furthermore, you will be able to judge the actual angle and choose the stride as the hitter— giving you a sense of timing and location of the ball. Also, the tool can pitch speed of 100+mph at a distance of 60 feet which is even faster than an MLB pitcher’s velocity. An excellent tool for someone who is aiming to slug MLB fastballs into the crowds. The First Pitch Baseline Pitching Machine is perfect to coach a youth baseball team or batting cages. The unique feature of this machine is the reversible legs and a swivel base. 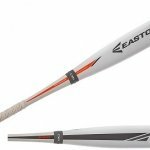 It is versatile and high-quality which comes with ground balls, softball pitches, baseball pitches, and pop flies. Also, the First can throw a ball up to 70mph. Similarly to the ZS740 – BSN Bulldog Baseball/Softball Pitching Machine is very light which give the machine excellent portability, which makes it a great alternative to Speed Zooka ZS740. It is built with durability in mind so both softball and hardball can be used to practice. Also, the urethane wheel increases the durability of the pitching machine. The Bulldog can throw a pitch from 30 mph-60 mph— not as much as others. But, it’s the perfect tool to make kids accustomed to baseball. 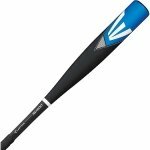 Another excellent alternative to the Zooka ZS740; Louisville Slugger 45 Blue Flame Pitching Machine boasts good portability along with versatility. It can throw balls of many varieties which include naturally hardball, softball, or even different balls such as volleyball and soccer ball. Coaches love this equipment because it saves them the time and effort from spending long hours pitching themselves. And because of its accuracy, the pitching machine is convenient for practicing outfield catching and pitching practice. The Louisville Slugger weights only 25 lbs and can throw hardball’s from 18 mph to 45 mph. Great for small kids to practice. The Wheeler Dealer Baseball Automatic Toss Pitching Machine is light, portable, and can fit into the trunk of any car. And this piece of equipment has the most ball holding capability of 27 baseballs and 17 softballs which no other toss pitching machine can hold. It’s also versatile which works with baseballs, softballs, tennis balls, dimple balls, nerf balls, and wiffle balls. The Wheeler Dealer is the perfect machine to improve your drag bunt, snap-back drills, incremental speed-up drills, and hand drills. It also offers many adjustments and settings to make the practice more thrilling and learning. If you are new to baseball and aspiring to be a professional batter who can hit like Babe Ruth, this machine is perfect for you. The JUGS Lite-Flite Machine for Baseball and Softball was made to improve a batter’s swing. It can throw a pitch at 85mph from 25 feet away. But this equipment not only throws fastballs but also break balls such as slider and curve-ball. 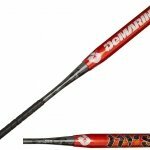 Perfect for a batter to improve their batting with fastball and breaking ball while losing the fear of getting hit. Another great feature of the Jugs Lite-Flite is that it can throw breaking balls from both right and left side. 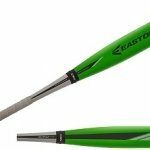 This tool will help you learn how to swing a bat properly and effectively if you are new to the sport. Another excellent alternative to Speed Zooka ZS7240; Fence Buster Pitching Machine for Baseball and Softball throws pitches up to 45 mph of regulation-sized baseballs, official fence buster baseballs or softballs. This tool is very durable and great for teens to practice their skills. One of the most durable pitching machine of its kind with versatile features. The features include variable speeds and elevation adjustments. The Fence Buster is ideal for kids of 12 or under 12 to get them used to the game and improve their skills. The latest pitching machine released by Louisville— the Louisville Slugger Black Flame Pitching Machine is extremely easy to use without any need of battery or electricity. Just like its predecessor this tool is light and versatile as well. Compatible with both softballs and hard balls – tennis, basketball, and soccer. Also, the interchangeable component let it switch from strike ball from high fly balls or long balls. The Louisville Slugger Black can pitch baseballs at 18-50 mph, fastpitch softballs at 15-45mph, lightweight training balls up to 60 mph. Because of the accuracy, the Louisville Slugger is an excellent tool to improve your fielding skills. The Speed Zooka can throw fastballs up to 70 mph. Also, it can throw dimple, tennis, and most safety balls. It can customize the speed to increase the efficiency and thrill of a practice. In a single charge, the machine can pitch up to 700+ baseballs at a speed of 40mph. Battery powered while weighing at only 30 lbs giving it excellent portability. Also, the battery can charge up to 80% in a mere 5 hours. The battery is 110VAC, 60Hz which allows the user to use the machine for a significant amount of time. Also, the tool comes with an internally sealed volt of 12. This Pitching machine boast great durability. A thickness of 1/8 on its chassis and a poly-carbonate outer housing absorb high impacts. 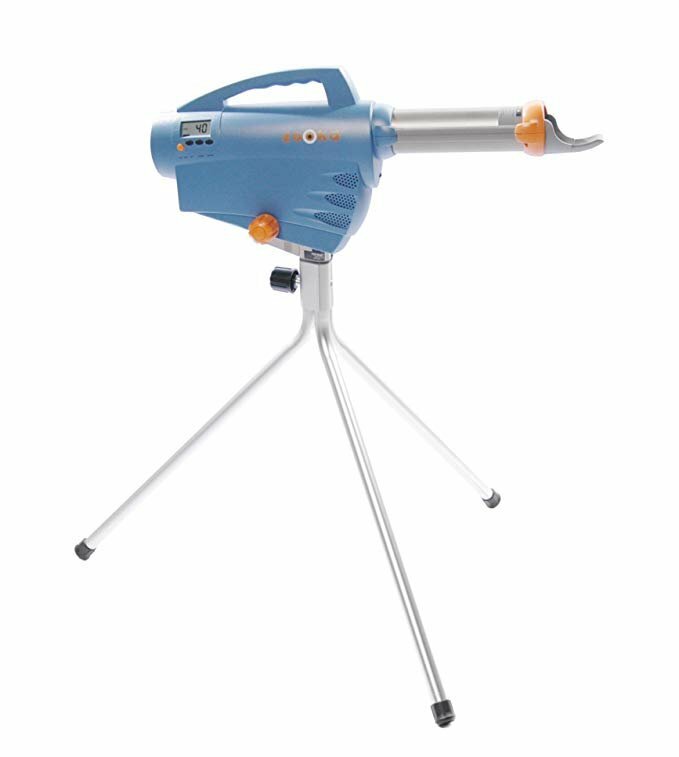 In addition, it has a high-quality aluminum tripod and barrel. It boasts of excellent portability weighing only 30lbs and a compact size of 36 inches in length. Also, the tripod length is 43 inches which can be folded. The recommended age for this machine is 5+ years and above. It comes with a connector for the external battery which is also a charger its internal battery and tripod. The Speed Zooka ZS740 has a factory warranty of 1 year. It’s a digital machine that has a digital speed readout to customized practice. For security, the machine comes with a password protected feature. It allows you to manage it personally. While other pitching machines which throw a significantly small number of balls and short distance. The Speed Zooka ZS7240 can throw a lot of pitches with commendable distance. Compared to its counterparts, found it is durable and light. The lightweight makes the tool moving from one location to another easy. The battery of the Speed Zooka boasts a lifetime guarantee of 5 years. It comes with a variety of speeds from 10 mph to 70 mph which allows one to improve their baseball over time. The Speed Zooka is an efficient pitching machine for both infield and outfield practice. Setting up the tool for batting practice takes a little more effort than other pitching machines. The Speed Zooka ZS7240 is used in all major leagues to train individual players on different aspects of their game. Therefore, it’s worth the money. This machine has taken the game of baseball on another level — with competitive pitching speed and accuracy for batting and fielding practice. Light and portable weighing at only 30 lbs so anyone can carry it. Also, with a battery guarantee of 5 years, the Speed Zooka is bound to bring you results if you put in the effort. 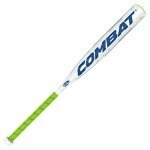 The Speed Zooka ZS7240 will be an excellent buy for you if you are aspiring to be a professional and want to improve your baseball skill.